2. Following Jesus’ teachings (John 8:31-32). We must be obedient children and doers of the Word. Obedience is the supreme test of faith in God (1 Samuel 28:18), and Jesus is the perfect example of obedience as He lived a life on earth of complete obedience to the Father even to the point of death (Philippians 3:6-8). 4. Love for other disciples (John 13:34-35). We are told that love of other believers is the evidence of our being a member of God’s family (1 John 3:10). Love is defined and elaborated on in 1 Corinthians 13:1-13. These verses show us that love is not an emotion; it is action. We must be doing something and involved in the process. Furthermore, we are told to think more highly of others than of ourselves and to look out for their interests (Philippians 2:3-4). The next verse in Philippians (verse 5) really sums up what we are to do when it comes to everything in life: “our attitude should be the same as that of Christ Jesus.” What a perfect example He is to us for everything we are to do in our Christian walk. 5. 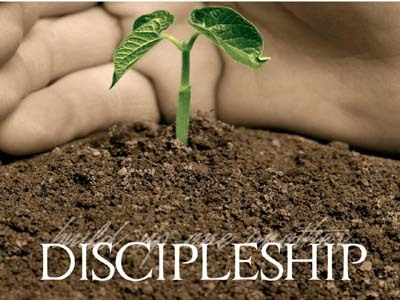 Evangelism – Making disciples of others (Matthew 28:18-20). We are to share our faith and tell nonbelievers about the wonderful changes Jesus Christ has made in our lives. No matter what our maturity level in the Christian life, we have something to offer. Too often, we believe the lie from Satan that we don’t really know enough or haven’t been a Christian long enough to make a difference. Not true! Some of the most enthusiastic representatives of the Christian life are new believers who have just discovered the awesome love of God. They may not know a lot of Bible verses or the “accepted” way of saying things, but they have experienced the love of the living God, and that is exactly what we are to share.